INDUSTRY.co.id - Jakarta - Idul Fitri Day is already within days. 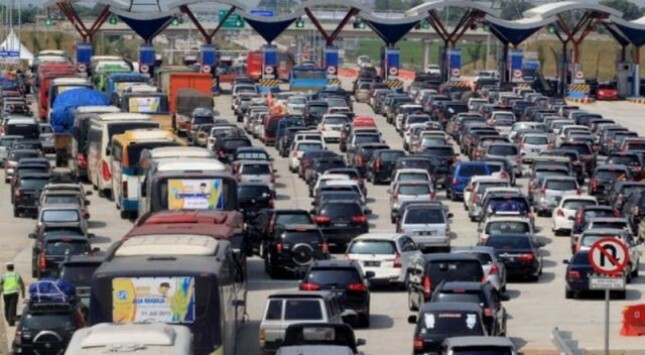 In fact, many people who have started going home before Idul Fitri. Travel back and forth will be tiring because of the streets are jammed, coupled with fasting conditions. Quoted from Okezone, the Minister of Health of the Republic of Indonesia, Prof. dr, Nila Farid Moeloek, Sp.M (K) called for the travelers to rest every two hours and set the departure hours well. "The travelers who use motor vehicles to keep wearing full equipment, and wear masks to avoid pollution dust during the trip," added Nila. For that, the Ministry of Health has prepared as many as 3900 Puskesmas 24 hours in various segments of travelers. This health center has been operating since June 8 yesterday, until June 24, 2018. This health center will serve the sick travelers and have an accident. In addition, the Ministry of Health has also provided a resting place with free acupressure services located in the rest of the toll lanes and 119 emergency telephone numbers that travelers can use for info and assistance.